FunGayDay is a non-profit event. To keep the costs low, while still offering an interesting program, we have looked for cooperation with a number of sponsors. Following sponsors have committed their support. Sympathiser: a contribution worth € 100 or less. Friend: a contribution worth € 100 – € 250. Partner: a contribution worth € 250 – € 500. Lloyd Hotel & Cultural Embassy Amsterdam: a stay in a *****-double room, buffet breakfast and a € 100 dinner voucher. Sofitel Legend The Grand Amsterdam, a stay in a *****-double room, buffet breakfast and lunch in the Bistro. Delete Professionals in Waxing: 25 vouchers for a Boyzilian or Brazilian @ € 52,95. 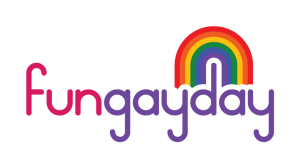 If you are interested in sponsoring FunGayDay, please see the options here.